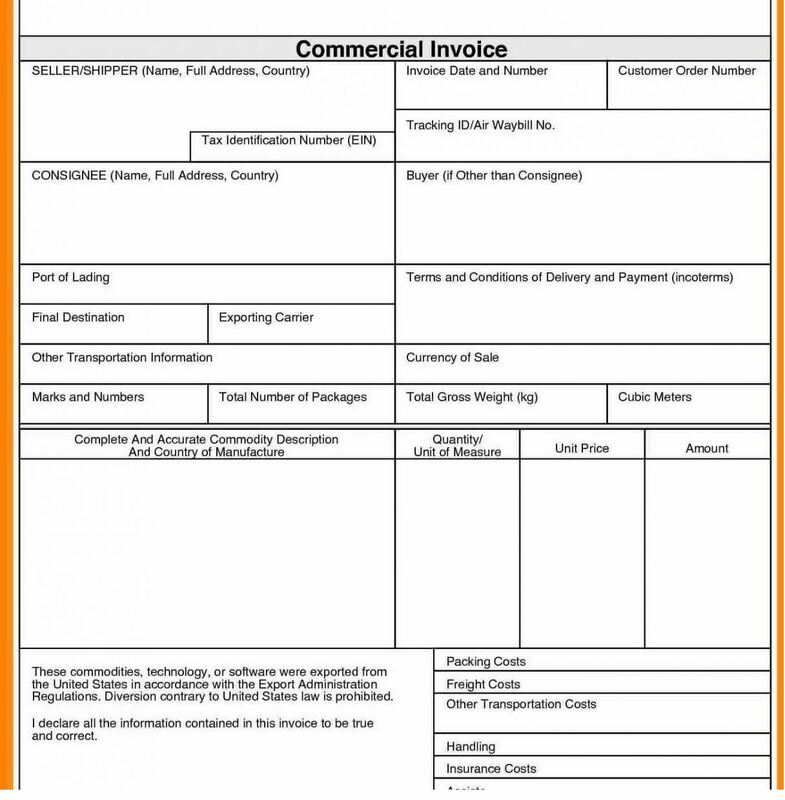 Commercial invoice definition, description, features, Specimen: A commercial invoice is a document records a transaction between the seller and the buyer and used in trade. It is a declaration by the seller of a sale. Commercial invoices are normally prepared by sellers/beneficiary and made out in the name of buyer/ applicant. It shows the description of goods, service or performance and value of the merchandise. A nominated bank acting on its nomination, a confirming bank, if any, or the issuing bank may accept a commercial invoice issued for an amount in excess of the amount permitted by the credit, and its decision will be binding upon all parties, provided the bank in question has not honoured or negotiated for an amount in excess of that permitted by the credit. The description of the goods, services or performance in a commercial invoice must correspond with that appearing in the credit. C1) a. When a credit requires presentation of an “invoice” without further description, this will be satisfied by the presentation of any type of invoice (commercial invoice, customs invoice, tax invoice, final invoice, consular invoice, etc.). However, an invoice is not to be identified as “provisional”, “pro‐forma” or the like. C2) a. An invoice is to appear to have been issued by the beneficiary or, in the case of a transferred credit, the second beneficiary. C3) The description of the goods, services or performance shown on the invoice is to correspond with the description shown in the credit. There is no requirement for a mirror image. For example, details of the goods may be stated in a number of areas within the invoice which, when read together, represent a description of the goods corresponding to that in the credit. C4) The description of goods, services or performance on an invoice is to reflect what has actually been shipped, delivered or provided. For example, when the goods description in the credit indicates a requirement for shipment of “10 trucks and 5 tractors”, and only 4 trucks have been shipped, an invoicemay indicate shipment of only 4 trucks provided that the credit did not prohibit partial shipment. An invoice indicating what has actually been shipped (4 trucks) may also contain the description of the goods stated in the credit, i.e., 10 trucks and 5 tractors. C5) An invoice showing a description of the goods, services or performance that corresponds with that in the credit may also indicate additional data in respect of the goods, services or performance provided that they do not appear to refer to a different nature, classification or category of the goods, services or performance. For example, when a credit requires shipment of “Suede Shoes”, but the invoice describes the goods as “Imitation Suede Shoes”, or when the credit requires “Hydraulic Drilling Rig”, but the invoice describes the goods as “Second Hand Hydraulic Drilling Rig”, these descriptions would represent a change in nature, classification or category of the goods. the value of the goods shipped or delivered, or services or performance provided. unit price(s), when stated in the credit. the same currency as that shown in the credit. any discount or deduction required by the credit. C7) An invoice may indicate a deduction covering advance payment, discount, etc., that is not stated in the credit. C8) When a trade term is stated as part of the goods described in the credit, an invoice is to indicate that trade term, and when the source of the trade term is stated, the same source is to be indicated. For example, a trade term indicated in a credit as “CIF Singapore Incoterms 2010” is not to be indicated on an invoice as “CIF Singapore” or “CIF Singapore Incoterms”. However, when a trade term is stated in the credit as “CIF Singapore” or “CIF Singapore Incoterms”, it may also be indicated on an invoice as “CIF Singapore Incoterms 2010” or any other revision. C9) Additional charges and costs, such as those related to documentation, freight or insurance costs, are to be included within the value shown against the stated trade term on the invoice. C10) An invoice need not be signed or dated. C11) Any total quantity of goods and their weight or measurement shown on the invoice is not to conflict with the same data appearing on other documents. goods, services or performance not called for in the credit. This applies even when the invoice includes additional quantities of goods, services or performance as required by the credit or samples and advertising material and are stated to be free of charge. a credit states the quantity in terms of a stipulated number of packing units or individual items. C14) When no quantity of goods is stated in the credit, and partial shipments are prohibited, an invoice issued for an amount up to 5% less than the credit amount will be considered to cover the full quantity and not a partial shipment. C15) a. i) When a drawing or shipment by installments within given periods is stipulated in the credit, and any installment is not drawn or shipped within the period allowed for that installment, the credit ceases to be available for that and any subsequent installment. Given periods are a sequence of dates or timelines that determine a start and end date for each installment. For example, a credit requiring shipment of 100 cars in March and 100 cars in April is an example of two periods of time that start on 1 March and 1 April and end on 31 March and 30 April respectively. ii) When partial drawings or shipments are allowed, any number of drawings or shipments is permitted within each installment. i) this is not an installment schedule as envisaged by UCP 600, and article 32 will not apply. ii) when partial drawings or shipments are allowed, any number of drawings or shipments is permitted on or before each latest date for a drawing or shipment to occur. UCP600 Sub-article 18(b) doesn’t cover invoices prepared exceeding credit values due to over shipment. Over shipment is not allowed in UCP and is always treated as a reason for refusal. UCP600 Sub-article 18(b) covers the invoices prepared exceeding credit values due to reasons like increase of price of the goods after issuance of the credit, advance payments not covered by the credits etc. Consular Invoice: An invoice covering a shipment of goods certified by the consul of the importing country resident in the exporting country. The invoice is used by customs officials of the country to verify the value, quantity and nature of the merchandise imported to determine the import duty. In addition, the export price may be examined to ensure that dumping is not taking place.